0.177" (4.5mm) Versatile multi-pump pneumatic shoots BBs or pellets. 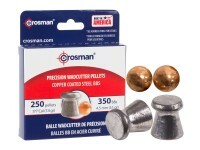 by Crosman. 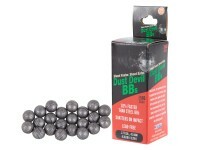 We make our recommendations based on the caliber, pellet weight and the gun's power.